Mix flour, shortening, baking powder, and salt together. Add water and mix. Roll out for 2 crusts. 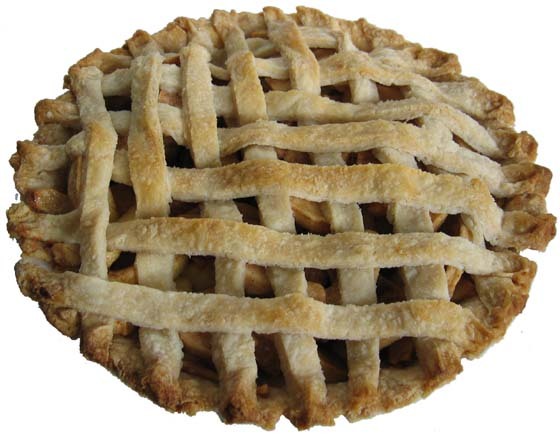 Grandma Pearl liked to use the second crust to make lattice work on the top. If you use the second crust as a solid piece on the top you will need to make slits to let the steam escape. We can't find her recipe for the filling, so you will need to use your favorite apple filling recipe.